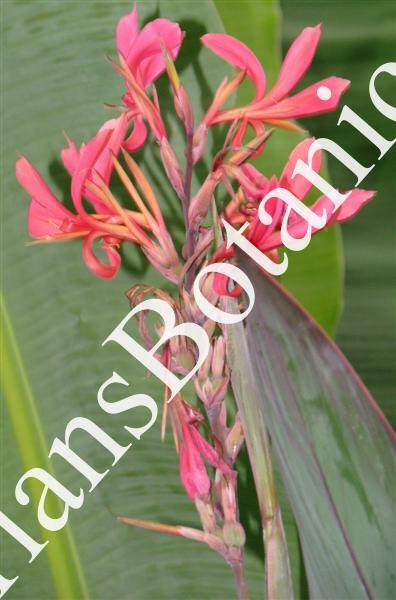 Canna Bird Of Paradise: This is a new hybrid release for 2011. Developed by me years ago at our nursery. I had for years been breeding cannas for new foliage forms. This great hybrid has gotten attention for years as a back drop tropical for our display beds. The foliage is very narrow and the long leaves can be 3 feet long or more. The leaves are colored with blue and purple veins with purple edges.